It's absolutely true what they say... that a scent can take you right back to a specific time and place. It's no secret that I travel to the US a lot. Even if I only visit once a year, I always find at least 2 weeks to spend with my family in Pittsburgh. In 2006, I took half a year out of my Australian life to hang out stateside. I bounced between Miami, New York City, Santa Monica, New Orleans, but Pittsburgh was always home. While I was there, I became thoroughly addicted to things that you just can't get here. 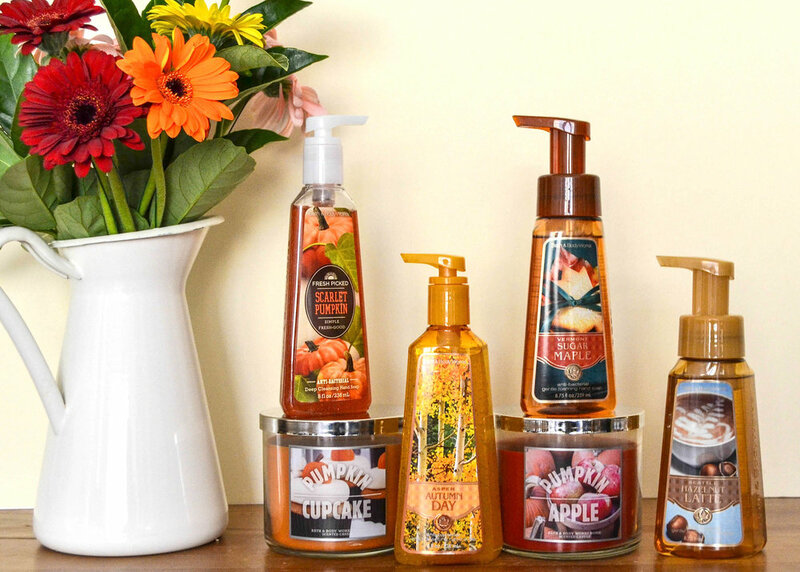 A few of the things I became obsessed with include the above edible scented hand washes and candles from Bath and Body Works. To our American audience, this seems simple, I know - but you just can't get these here. And the 'holidays' in Australia have nothing to do with apple spice and pumpkin pie. From light and foamy to rich and creamy, the scents of these hand washes take me back to a carefree, 22 year old version of my travel loving self... sigh. So the wonderful Rindala has recently come back from a fleeting trip the Hawaiian Island of O'ahu. I cannot explain the joy in my heart when she handed me a blue gingham paper bag, filled with some of my favourite things. It's as simple as lighting a pumpkin cupcake candle, closing my eyes and just like that, I'm back there... if only. Did you ever become addicted to something while travelling that you just can't get at home?